Despite my continued "Multitasking", I finished a quilt this week! I mentioned this quilt top last week. It has been in process (ahem, on the design wall) for maybe six months? I had initially planned for it to be as big as my original Off Centered Innocence quilt but I decided to face reality and time constraints and finish this one up as toddler sized. 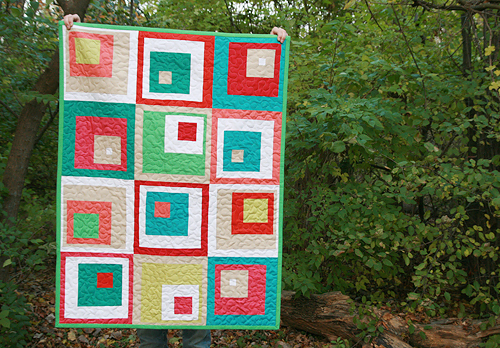 The pattern for this quilt is my Off Centered Squares pattern. 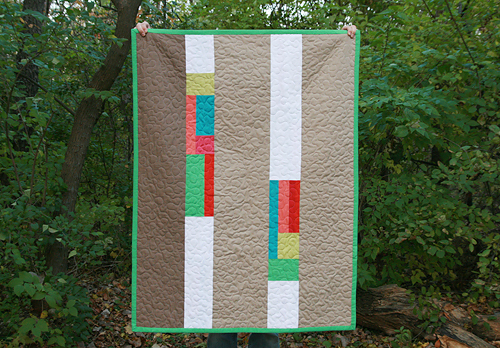 This quilt uses a variety of Moda cross weaves, combined with Kona white and a tan Essex linen. I have now quilted with a lot of different types of fabrics - cotton, linen, voile, double gauze, shot cottons, home dec, flannel...cross weaves have been my biggest challenge. They really like to stretch and shift. However, the end result was worth the stress. 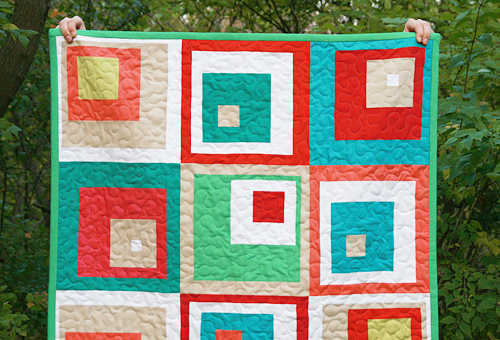 This is one very soft quilt. The back of the quilt was made with left over cross weaves as well as some white and tan Kona cottons. I quilted it using a meandering free motion style and the binding is also a cross weave. It measures 36" x 48" and is listed in my shop!